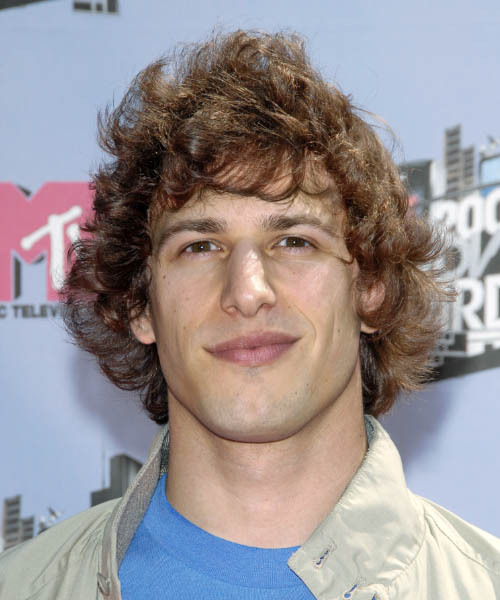 Andy's messy and free style was a great look for him at The 2007 MTV Movie Awards. His back and sides were angle layered short and his top was jagged cut to create an all over messy style. This hairstyle will work best on medium to thick hair types. Use your fingertips to scrunch the moulding cream into your waves to create this great natural look.